A FATHER who lost his youngest daughter to leukaemia is taking on his first ever marathon to help the charity which helped his family through their “nightmare”. Martin Abrahams will run in the London Marathon in memory of his daughter Jess, who died from leukaemia when she was just six years old. He will be raising money for Charlton Farm hospice near Bristol, which is run by the charity Children’s Hospice South West. Martin, who is 41 and a self-employed business analyst, said: “When my wife Mel and I lost Jessica to leukemia a number of charities had helped us, but one stepped in and guided us through our nightmare first week – CHSW. “I just don’t know what we would have done without them. At a time when our world was crumbling, they knew just how to help. Children’s Hospice South West supports families who are caring for children with life-limiting illnesses. It has three hospice sites, Charlton Farm in in Bristol, Little Bridge House in Barnstaple and Little Harbour in St Austell. 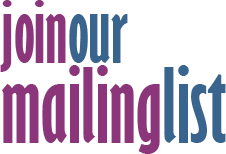 Services to families are free and paid for almost entirely through voluntary contributions. Martin, who was born in Yate and went to Chipping Sodbury School, has set up a JustGiving online fundraising page so supporters can make donations to the charity in memory of Jess. 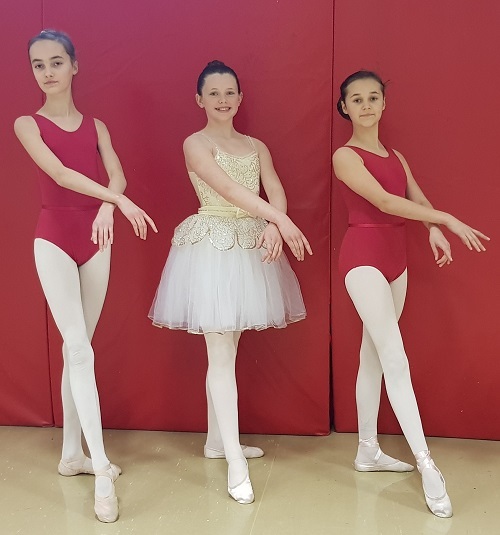 It can be found at bit.ly/2FeLb7t on the JustGiving site. Writing on the page, he said the charity had supported his family through “the worst time of our lives” when Jess died in January 2017, having fought leukaemia for four years. 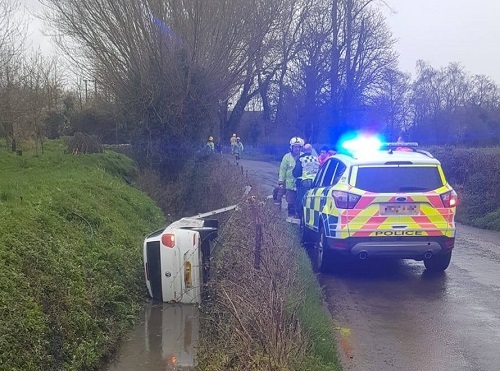 Martin, who now lives in Thornbury, is hoping to raise at least £4,000, and has already reached just over £3,000 in online pledges. 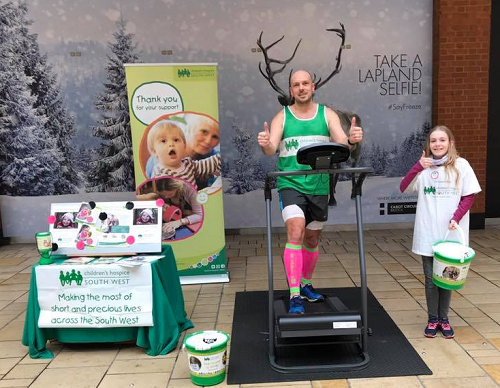 He also takes a treadmill – which he refers to as his ‘dreadmill’ – to shopping centres in Bristol and South Gloucestershire to raise awareness, as well as funds, supported by his wife Melissa and eldest daughter Zoe, above. In the past two months he has raised more than £1,400 on visits to Cabot Circus shopping centre in Bristol, the Willowbrook Centre in Bradley Stoke and Asda at Patchway. His most recent visit was to Yate Shopping Centre on March 23, when shoppers donated £371.55 to the cause. Martin says running has become essential to help him come to terms with Jess’s death. CHSW community fundraiser Frances Kenneally said: “Martin has set himself a huge challenge in running a marathon, but he is determined to meet his target and spread the word about the vital work we do at the same time. To support the family go to www.justgiving.com/fundraising/CHSW-4JRA. 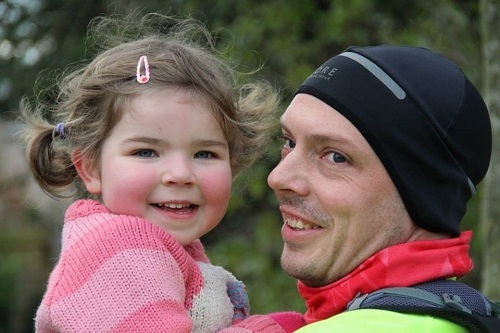 Main picture: Martin Abrahams with his daughter Jess after she completed a parkrun while undergoing chemotherapy. She died aged 6 after fighting leukaemia for four years.